This is our finest Bordeaux varietal bottling from the fabulous 1999 vintage, a year I prefer over the much praised 1997. The 1999s are quite similar in depth and intensity to the 1997s while being a little more voluptuous and silky in the finish. This wine was aged in mostly new French oak chateau barrels and was bottled unfiltered. A blend of our best lots of Cabernet Sauvignon, Merlot, Petit Verdot and Cabernet Franc, it is opulently structured and very dark. 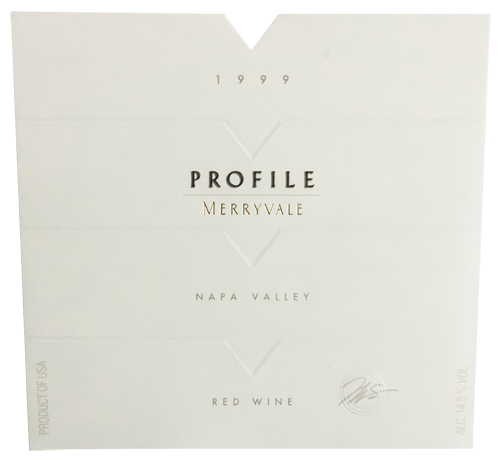 Merryvale Estate, Beckstoffer –Vineyard Georges III and Vineyard VI, Slawson, Bayview-Zinfandel Lane, Showket, Thorevilos, Caldwell.